Nicely stocked kitchen. Everything seems new and needing renovation at the same time. I liked that it was close to our friends. It was also a very large place. It was nice to have a kitchen. It was a nice and comfortable place to stay. The communication with the host was easy and quick. We can recommend this accommodation. We had everything we needed. The apartment was very well equipped. I wish we could have stayed more. Kitchen with new furniture and fitted pretty well, but not fully. External sun blinds which are protecting from sun and some traffic noise. 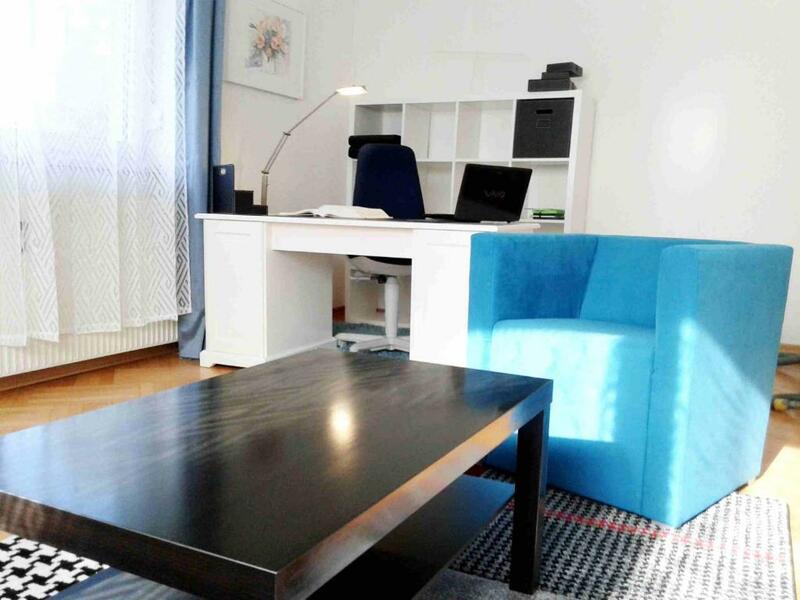 Perfectly clean apartment, large rooms (2 bedrooms and studio) - with new furniture and new towels. The keys were waiting for us in the house at deep night! Thanks a lot for that opportunity! nothing because had such a bad experiance with dirty toilet and owner who did not want to do anything to help us. The shower was wide and efficient, the rooms were also wide and very clean. Late check-in allowed. 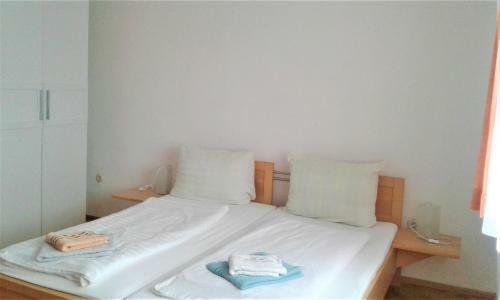 Very spacious, comfortable, clean apartament, few minutes drive to Minimundus or Klagenfurt. One of our best sellers in Klagenfurt! Lakeside-Uni-Apartments B&B is located in Klagenfurt, 650 feet from Wörthersee Stadium and an 8-minute walk from Klagenfurt University. Free WiFi is available throughout the property and free private parking is available on site. Guest can also benefit form the 24-hours reception. The kitchen features a dishwasher and an oven and there is a private bathroom. A flat-screen TV with satellite channels is offered. Other facilities at Lakeside-Uni-Apartments B&B include a barbecue. 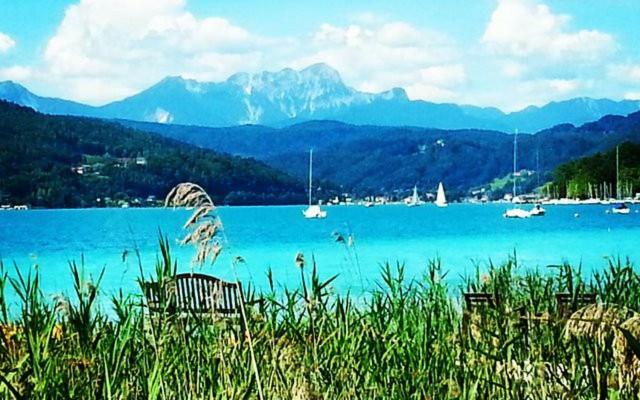 The area at Lake Wörth is popular for windsurfing, diving and other water sports activities and is within 1.6 mi of the property. Klagenfurt Airport is 3.1 mi from the property. When would you like to stay at Lakeside-Uni-Apartments B&B? This apartment features a soundproofing, electric kettle and tea/coffee maker. This apartment has 2 bedrooms and a living/bedroom. Das Haus ist komplett eingezäunt und hat einen ca. 60 m² großen Garten mit Grill und Gartenmöbeln, ideal zum Entspannen und Partyfeiern. Für die Kinder stehen einige Spielgeräte zur Verfügung. House Rules Lakeside-Uni-Apartments B&B takes special requests – add in the next step! Please inform Lakeside-Uni-Apartments B&B of your expected arrival time in advance. You can use the Special Requests box when booking, or contact the property directly using the contact details in your confirmation. The whole apartment smelled of smokers. She could not even sleep in it. I do not recommend non-smokers. We had an apartment on the ground floor. Horrible smell in the bathroom; Dishwasher is totally rusty & the water cooker had algae in it - very discusting.. tables were sticky.. generally the cleanliness was very poor - we had to buy everything and clean it before we could get comfortable.. pillows smell disgusting - couldn't sleep on it.. so generally totally diffrent than expected in the photos.. The beds could have been softer. It's strange. Bathroom seems to be new but water pipe is moving. And I couldn't figure out how to operate shower head. The check-in window was so very short, with our plane delay we missed it. It was a little disconcerting that, when contacted, they told me the key was in the door and just walk in. Anyone could have walked in and been waiting. They also did not send any email with any information before our stay. They relied only on the booking.com email. It was NOT made clear that they ONLY take cash. I was not comfortable carrying that much cash around and had to scramble to get it last minute. The property manager did not come prepared with a receipt or change. It was only 2€, but I did need it for the bus or train. I asked multiple times for a receipt for my records, as it was a substantial amount of money, and was given the run around and never recieved it after being told it would be coming. The light in the bathroom was burnt out the entire week we stayed. We could not close the door for privacy while using the toilet or we would have been in complete darkness. I informed the property manager multiple times and it was never fixed. There was also no soap or garbage bags. We had to buy soap just to wash our hands. The pictures on the site showed toiletries, I did not think that I would have to find a store before we could even get settled in, just to wash our hands. I am also upset that, after telling us she would meet us for checkout with the receipt and our change, she never showed up. My daughter and I waited, with our bags, outside for her to show up. She didn't even have the decency to call us to tell us she wasn't going to show. The beds were very uncomfortable with old, holey fitted sheets and a heavy comforter. It was very hot during our stay, and it would have been nice to have a light blanket. It was more comfortable to sleep on the comforter on the mattress then to sleep on the mattress itself. The property manager really needs to meet her guests when they are checking in so that all questions can be answered. The only sad moment - as we saw the photos in booking.com - we thought that the apartment was lake view. But in reality the house is far far from the lake, and as result - we did not see the beautiful lake on our way home from Italy to Ukraine. 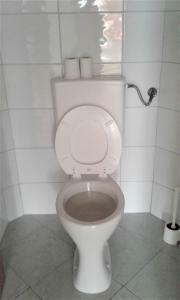 We could not use toilet. it was dirty when we checked in, called the owner and she did not do anything, Called her again later, when she told us there is another room with toilet we can use. afterwards, did not answer our calls. very, very bad!! not for a recomendation!!! we are asking for a refund! Bathroom was dirty, sheets were dingy. I expected more for the money I paid. Definitely not a SuperHost. When you book it make sure to specify ground or first floor apartment. We had booked the ground floor (much nicer and better equipped) but since Maria (the owner) leaves you the key in the keyhole, somebody arrived earlier than us and took our apartment. For the same reason the following morning someone entered while we were sleeping because their apartment was already taken. This first-in/first served check-in procedure is very unpleasant and unfair. The apartment lacked of all the basic services: no hairdrier, no soap, no coffee or tea for the machines, no soap whatsover to clean, no curtains, no trashbin, no lamps or bedtables, no shower pad, no extra toilet paper, no mop or broom, no hangers. Wi-fi was free and strong but there was no note with the password or the directions. Maria assured us that the apartment is about to be finished and furnished properly.